Every arrangement of one of JS Bach's works expresses, as does every performance of it--and what is a performance, if not a kind of arrangement?--a hitherto hidden aspect of the work's character, whether subtle or strong. That's one thing the following recent recordings, of arrangements and transcriptions of Bach's music for diverse instruments, have in common. With the exception of the recorder, the other is how remote these instruments are from those of Bach's time. 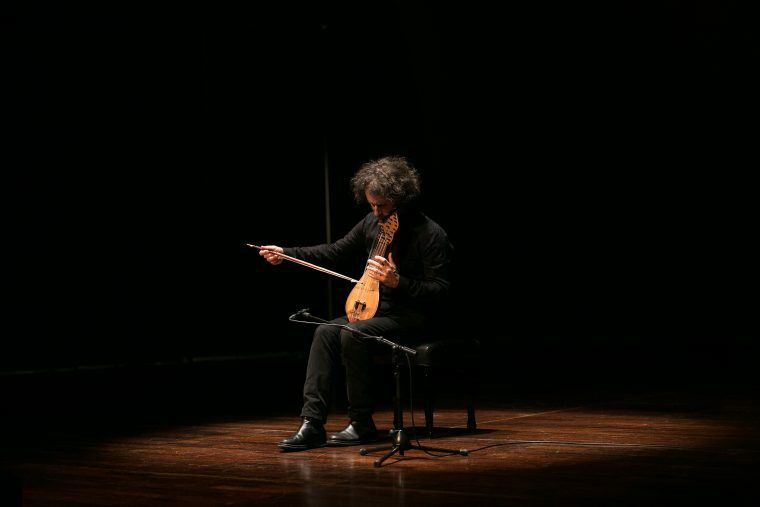 Even Michael Poll's seven-string guitar, while evoking the sound world of the Baroque lute, in no way attempts to mimic its distinctive qualities. Even the ancient Cretan lyra, normally with three main strings and a number of sympathetic strings, accepts an extra main string to accommodate the range of Bach's five Cello Suites (No 6 for five-string violoncello piccolo not included) as performed by cellist and fourth-generation Cretan lyra player Yiorgos Kaloudis. A little smaller than the lyra viol, the instrument is played with the nails of the left hand held against the side of the strings rather than pressing down on them. It has a pungent yet resonant tone, which Kaloudis beautifully exploits in these haunting accounts, rich in ornaments and improvised passages. “Listening to Kaloudis’ CD, J.S.Bach: Cello Suites on the Cretan Lyra, you are immediately impressed by his extraordinary talent and skill in interpreting this beautiful music, making the most familiar of Bach’s Cello Suites sound fresh and vibrant through Kaloudis’ unmistakeable energy and connection with the music and the instrument. The dedication of the artist to his music is clear in the depth and meaning he communicates through these pieces. While music fans around the world enjoy his impressive work through his recordings, seeing him perform live is a special treat. Many fans, especially in the U.S., are eager to see Kaloudis perform Bach live as soon as possible.